French author and poet Jules Renard once said, "On earth there is no heaven, but there are pieces of it." Whether Renard ever made it to Queensland's Pacific coast in his 19th century lifetime is doubtful, but he certainly would have appreciated the appropriateness of his quote being applied to the wonders of Hamilton Island. With all its Whitsunday magnificence, Hamilton Island is a joy to behold from any perspective. Sail the coral filled waters for a glimpse of what Australia's first European explorers would have seen over 200 years ago. Take a tour by plane for a dramatic birds-eye-view of the Great Barrier Reef, or hike the lush interior trails to a glorious mountain top lookout. 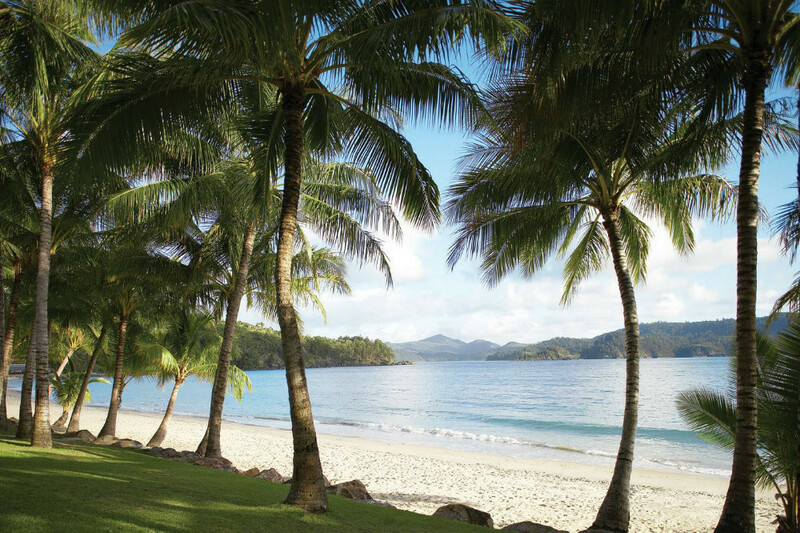 However you choose to take in the many natural sites of Hamilton Island, there's no wrong way to set about doing it. For an all-encompassing Hamilton holiday, get acquainted with the island in unique fashion, with these Hamilton Island adventures. Don't just limit your viewing pleasure to Hamilton Island. Admire the beauty of the entire Whitsunday chain of islands as you take to the skies in a sea plane or helicopter. Enjoy your perch as you hover above some of the world's most beautiful - and most photographed - coral reefs in the world. For a truly indulgent Whitsundays experience, ask your Travel Associates consultant to about discovering Whitehaven Beach by helicopter, sparkeling wine in hand, before returning to your luxe Hamilton Island base at qualia. Be an explorer for a day as you paddle your way around quiet coves and secluded bays. On shore, hidden walking trails and peaceful white sand beaches are found at every turn while below the surface, the clear warm waters hold the treasured life of the Great Barrier Reef. With water so clear, the colourful coral is within easy reach of closer inspection when diving in for a refreshing swim or snorkelling adventure. Visitors can go out on an organised tour or take a self-guided excursion with kayaks supplied by your resort. Witnessing the beauty of Hamilton Island and its coral filled waters on a day-trip cruise introduces visitors to some of the top Whitsunday attractions both at the water's edge and below the surface. Day trip cruises offer snorkelling and diving adventures as well as tours of one of Australia's most stunning beaches, the 7 kilometre long, pure white silica Whitehaven Beach. One of the most popular activities on Hamilton Island, hiking provides nature lovers with ample opportunity to explore the island's dramatic landscape. From moderate walks along the shoreline to more challenging hikes up to mountain top lookouts, the island viewing, bird watching and picnic opportunities are endless. Get behind the wheel of a two-seater Polaris ATV as you take in the hidden island views on a back roads adventure tour. From awe-inspiring lookouts to the loveliest beaches, coves and bushland, the guided tour takes you to some of the most secluded and pristine locations on Hamilton Island. Your expert guide provides expert commentary along the way, providing both an entertaining and informative look at the island's many natural features.